Featuring an outdoor swimming pool and restaurant, Congo Hotel is located in Rhodes, 1.5 km from the centre of Rhodes Town, with restaurants and cafeterias. A garden and sun terrace are included. Free Wi-Fi is offered in public areas. The family-run Pals Studios Pefkos is located only 100 metres from Pefkos Beach and within a short walk from taverns, bars and mini markets. It offers self-catered accommodation with a private balcony. 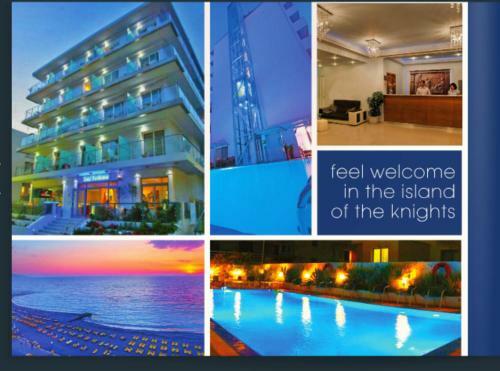 Kipriotis Hotel is less than 1 km away from Rhodes Town, and only 50 metres from the Blue Flag Psaropoula Beach. It features an outdoor swimming pool, a hot tub, gym and sauna. 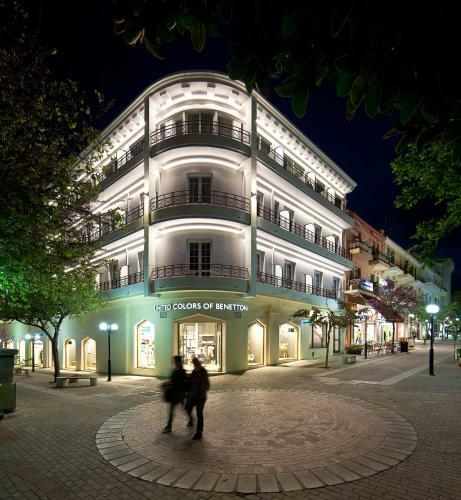 This centrally situated, 2-star hotel is set on a quiet pedestrian street, only 10 minutes� walk from Rhodes� Old Town. Wi-Fi in public hotel areas is free. Within 500 metres from the Old Town in Rhodes, just 50 metres from Elli Beach, Hotel Venus features a swimming pool and a restaurant. Guests are offered a buffet breakfast. Rooms at the family-run Venus Hotel are airy with a lot of sunlight. 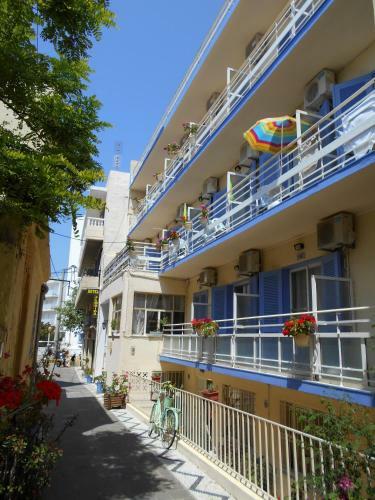 Florida Hotel is located in a quiet, flowery pedestrian street, in the centre of the city of Rhodes. The hotel enjoys easy reach to the beach and the Medieval City. WiFi is offered throughout. 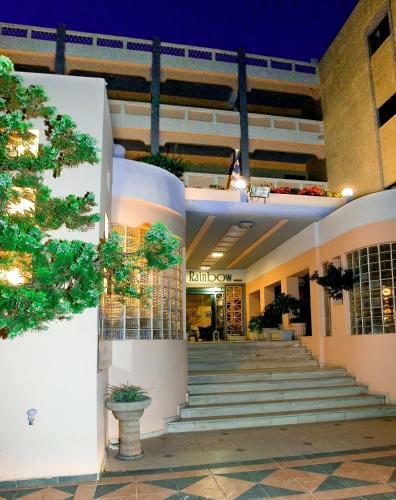 ALS City Hotel is located in the well-known Ekato Hourmadion Square in the Town of Rhodes, just metres from the seafront. It offers bright rooms with a private balcony, and a daily breakfast buffet. With a beach location in Lardos, in Rhodes, Elvita Beach Hotel offers a vibrant pool area with sun beds, umbrellas and pool bar with TV, as well as quiet spots in the garden. Centrally located in the heart of the commercial street in Rhodes, just a 5-minute walk from the Old Town, Noufara City Hotel is 400 metres from Elli Beach. It offers free Wi-Fi and a buffet breakfast. 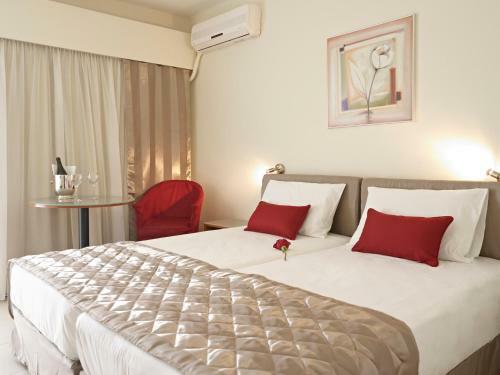 Situated in the lively centre of Rhodes, this city hotel offers modern rooms with 26-inch plasma TV and free Wi-Fi. It is very close to the Rhodes Elli Beach. The Four Season Colorado Hotel offers air-conditioned rooms, most with view of the sea. 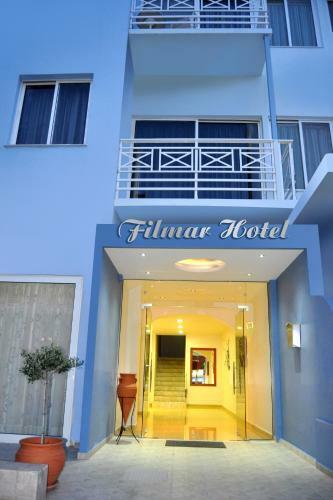 Located in the area of Ixia, Filmar Hotel offers simply decorated rooms, just 50 metres from Ixia Beach.The medieval town of Rhodes is 6 km away and Rhodes International Airport is within 7 km. 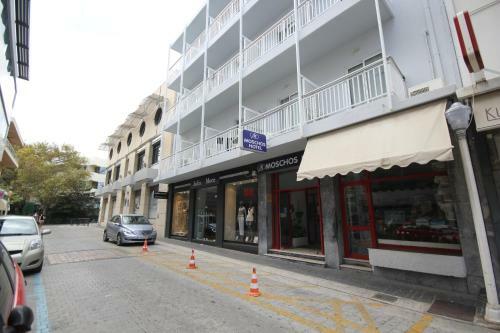 The Royal Aparthotel City Centre is situated in a quiet pedestrian street in the heart of the city and shopping district of Rhodes town. It offers comfortable, clean and convenient accommodation. 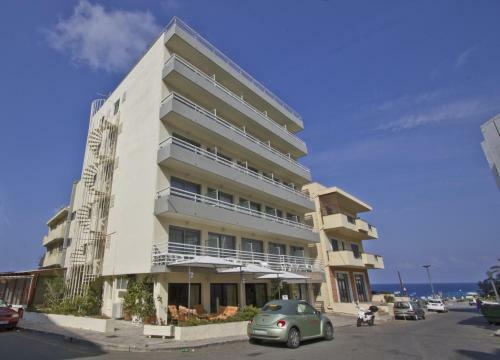 Located in the centre of Rhodes town, just 100 metres from the beach, Helena offers air-conditioned rooms with balcony. 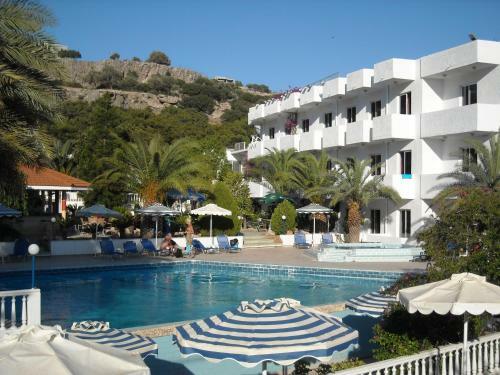 It has a swimming pool with sun terrace and provides free Wi-Fi. Within 900 metres from the Old Town in Rhodes and 400 metres from Zephyros Beach and marina, Rainbow Hotel features a swimming pool and a restaurant. It offers air-conditioned rooms and free Wi-Fi access. Enjoying a peaceful location, just 1.5 km from the historic town centre of Rhodes, Philoxenia Hotel offers refurbished and comfortable accommodation close to the beautiful Rodini Park. 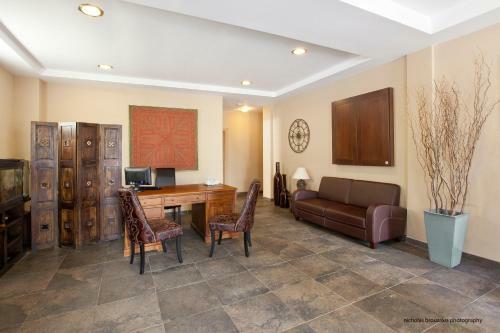 Rooms are fully-equipped and contain free Wi-Fi Internet access. This small family-run hotel, located in a quiet area of Genadi, provides guests with a comfortable base during their stay on Rhodes. En route to the beach, Panorama Genadi Hotel welcomes guests looking to experience Greek hospitality at its best. Just 100 metres from Pefki Beach in Rhodes, Palm Bay Hotel features a swimming pool, a blossomed garden and a furnished sun terrace overlooking the Aegean Sea. It also includes a sea-view bar-restaurant with free WiFi access and pool table. Set in Pefki Rhodes in the Rhodes Region, 44 km from Rhodes Town, Thalia Hotel features an outdoor pool and children's playground. Guests can enjoy the on-site restaurant. All rooms have a private bathroom. 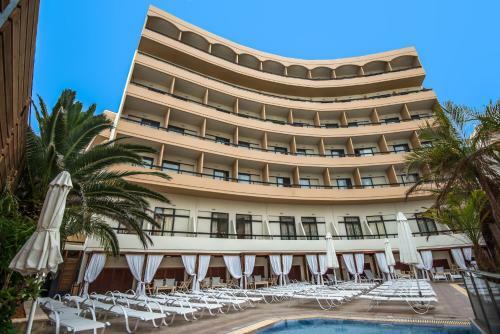 Centrally located in Rhodes Town, Hotel Galaxias lies within 850 metres from the Medieval Town and within 2.5 km from Rhodes Port. It offers accommodation with free WiFi and a private balcony overlooking the well-tended garden or the street. 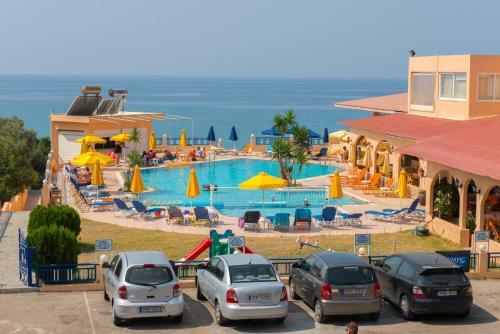 Just 700 metres from the beach of Rhodes Town, Mariette Hotel features a swimming pool and snack bar. 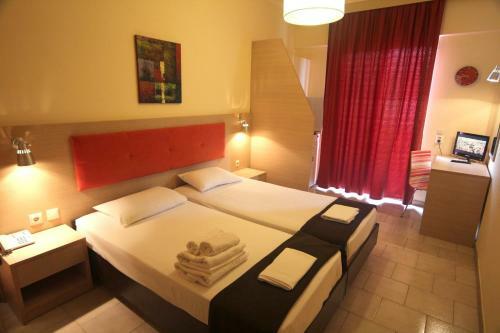 It offers self-catered accommodation with free Wi-Fi and furnished balcony overlooking the town or the sun terrace. Surrounded by shops and restaurants, this centrally situated Rhodes hotel offers Parking is free, and free WiFi is available in all areas. Eli Beach is at a 200-metre distance. Pearl Hotel enjoys a central location in the town of Rhodes, 150 metres from 2 beaches. From the hotel guests enjoy easy access to the beautiful harbour and the Medieval Town. All rooms have an LCD TV, a refrigerator, bath or shower and a balcony. 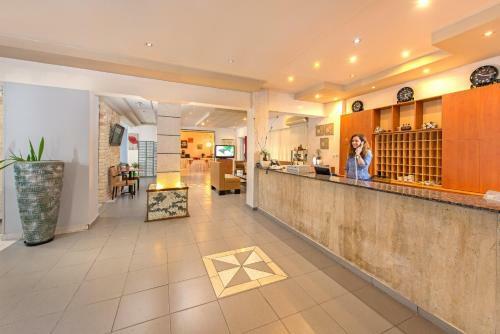 Achillion Hotel enjoys a privileged location in the Town of Rhodes, offering proximity to many attractions, shops and public transportation options. At approximately 60m from the hotel, guests can find Elli beach. International Hotel enjoys a central location in Rhodes Town, within a short distance from the Medieval Town, Mandraki Marina, Casino and Elli beach. The family run hotel offers a friendly and warm atmosphere. 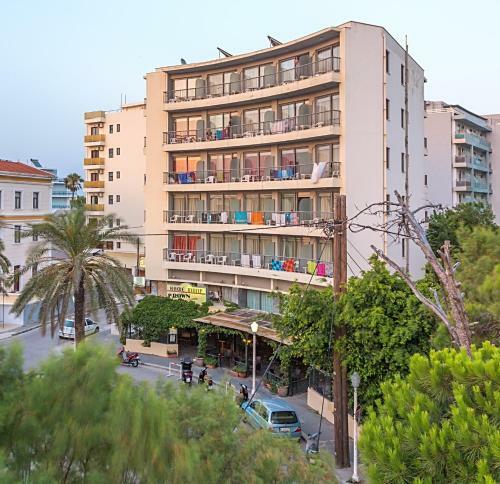 Family-run Nafsika Hotel is located just 60 metres from the beach in Rhodes and within a 10-minute walk from the Medieval Town, restaurants and caf�s. 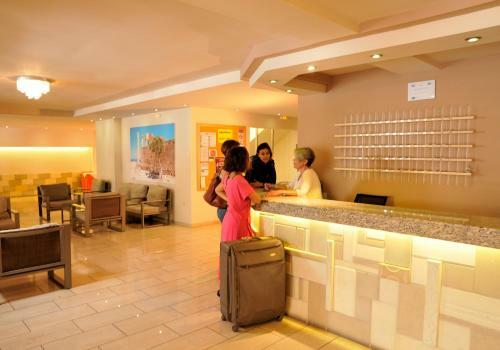 It offers a buffet breakfast and free Wi-Fi in the bar and all rooms. Situated only 100 metres from Psaropoula Beach, and a 5-minute walk from Rhodes� old town, Parthenon Hotel offers sea views and a relaxing outdoor pool area, close to all the action.